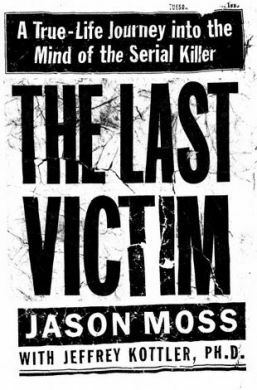 The Last Victim - Jason Moss, 294 page eBook in .PDF format. After payment is received you will instantly receive an email with the link to download the PDF file. Jason Moss was a very strange boy: an overachiever, always looking for some challenge, some new way to excel. In his studies, in sports, and, for some reason that he can never explain comprehensibly, seducing serial killers into telling him their secrets. His first "project" was John Wayne Gacy. Moss sent carefully crafted letters to Gacy in which he portrayed himself as a young, naive, insecure gay man who could be easily manipulated. Gacy was suspicious and put Moss through harrowing emotional tests before surrendering his trust, but Moss came out ahead. Gacy fell head over heels for Moss, replying with graphic and disturbing letters instructing him to commit depraved acts for Gacy's vicarious thrills. Moss led him on, convincing Gacy that he was doing these things, but somehow this victory wasn't sufficient. So he extended his efforts to include other jailed killers. Although he experienced some success, amassing a disturbing collection of documents--including detailed sexual prose from Jeffrey Dahmer, disjointed ramblings from Charles Manson, and awkward, violent illustrations from "Night Stalker" Richard Ramirez--his closest relationship was always with Gacy, whom he eventually visited in prison, where even the unflappable Moss learned fear.